88-year old fiddle master, BENTON FLIPPEN from Surrey County, North Carolina is known for his hard-driving, bluesy fiddle style. He will be joined by banjo player and NPR producer, PAUL BROWN, and 71-year old guitarist FRANK BODE from Mount Airy, North Carolina. Ballad singer and storyteller, SHEILA KAY ADAMS from Sodom, North Carolina is a 7th generation ballad singer. Adams was the musical advisor for the movie, “Songcatcher”. RAYNA GELLERT, a powerful fiddler who is a member of the all-woman string band, Uncle Earl. The STAIRWELL SISTERS, the Bay Area’s own sorority of sweet harmony, steel strings and step dancing. SAMMY LIND & CALEB KLAUDER (FOGHORN DUO from the Foghorn String Band), beautiful country duet singing and playing. BRANDY SNIFTERS, an old-time band from Minneapolis who have been playing old-time music together since 1961. Saturday Night SQUARE DANCE. 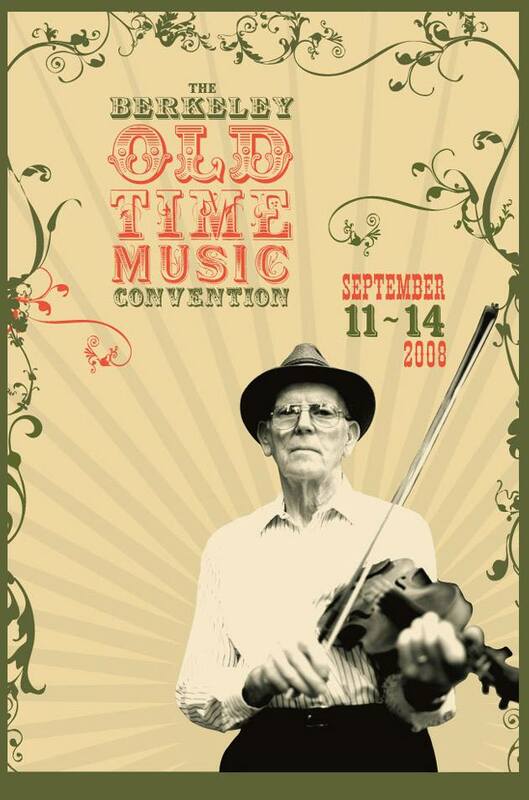 The Bands: BENTON FLIPPEN, PAUL BROWN, FRANK BODE & friends will be joined by the FOGHORN STRING BAND who is at the forefront of Portland’s vibrant old-time revival, and former Convention contest winters, the SQUIRRELLY STRING BAND from Oakland. The Callers: Bill Martin (Portland), Maggie Brunjes (Portland) and Jordan Ruyle (Oakland). Come early for a FREE clogging lesson with Evie Ladin!